The holiday season is upon us and that means it’s time to start thinking about gift ideas for those important people in your life. In recent years, our families have cut back on the amount of gifts given. Mostly to reduce the stress, expense, clutter, and expectations that come along with gift giving. We all seem to have most of what we need to survive, so we try and have fun with the limited gifts we do give and make sure they have special meaning. We draw Secret Santa names on Thanksgiving and have only one person to buy for each year. Last year the gift was limited to $25 and we were also given the challenge of donating an additional $25 to a cause that is meaningful to the person whose name we drew. Matt drew my name and donated to a local animal rescue organization (the one where we adopted Kramer!). It was fun to go around and hear why certain organizations were chosen, and even better to not go home with a car load of stuff! I am not saying gift giving is wrong, but I think many of us find ourselves opening boxes on Christmas morning and thinking, “What the heck am I going to do with this?” or “Where am I going to put this?” To each their own, but we have really come around to the less is more attitude and love that our whole family is on board. 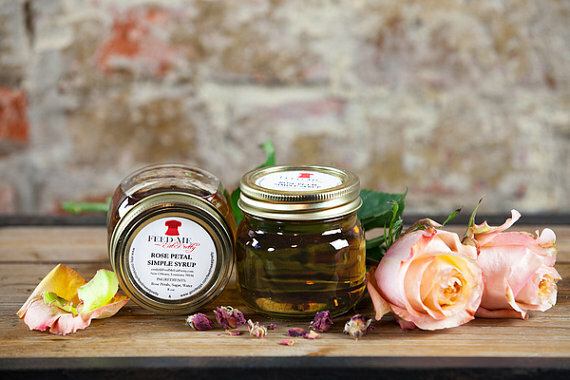 This year, why not consider a handmade edible gift? 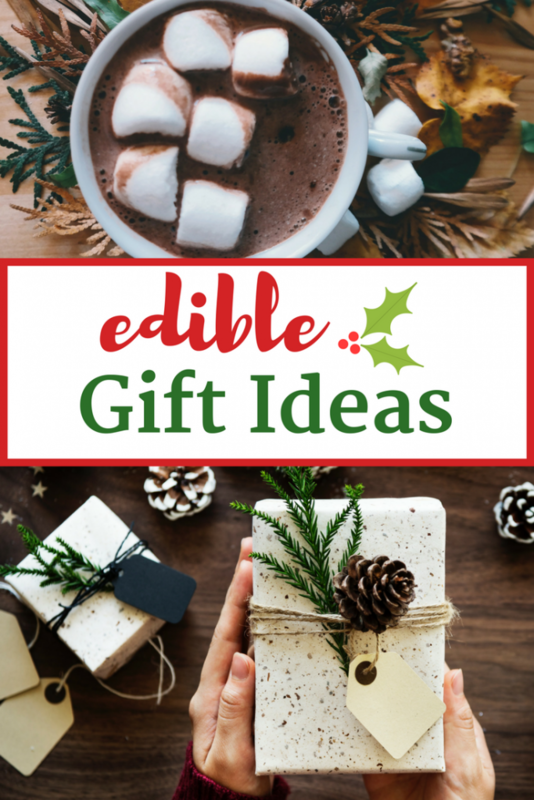 Edible gifts are a great choice because they don’t take up much room and everyone loves food! You can most definitely make your own but we prefer to turn to Esty for really creative and tasty treats. Yes, it’s real. 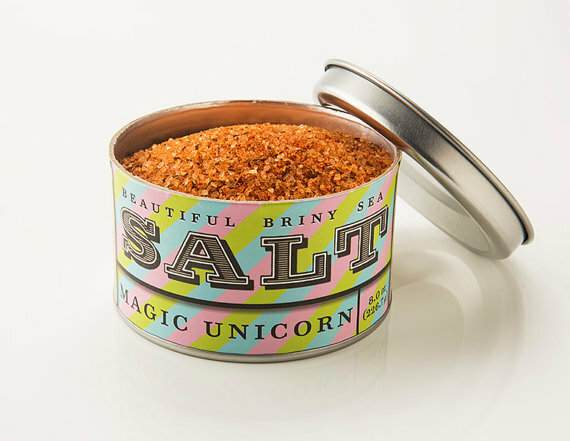 😉 This gourmet sea salt blend is good for…just about everything. Seriously. 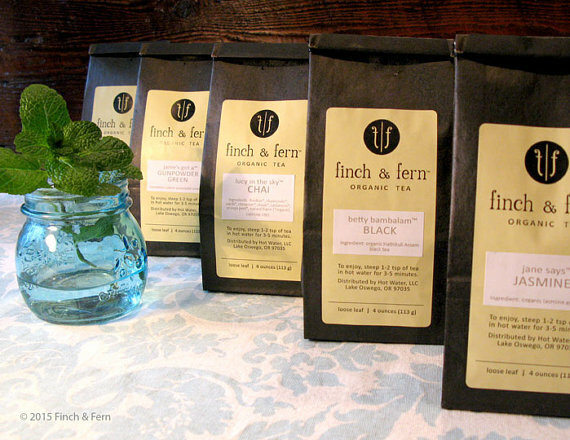 Everyone needs a little more tea in their life. This company uses only organic ingredients and creates really unique blends like Mint Chip and Call Me Coconut! I’m drooling as I type this. If you have not tried chili infused honey, you have not lived. It’s a MUST HAVE for pizza night in our house. It’s also really good on sourdough bread, ice cream, and roasted veggies. Basically everything. This gift pack lets your gift receiver try all six options, so they can decide which one to stock in their home all year long. For those not familiar, ghee is clarified butter. We first tried it many years ago when we began incorporating aspects of the paleo diet into our life. 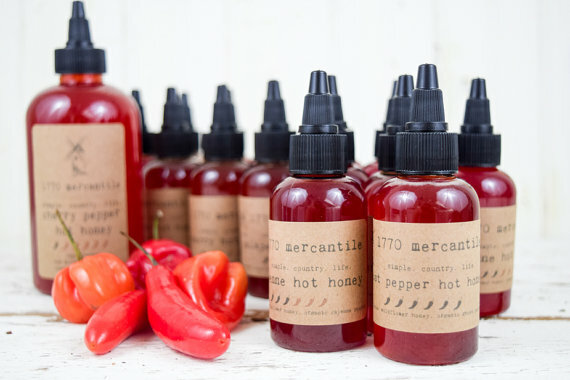 This Etsy seller makes her own and even lets you choose flavors like turmeric and saffron. 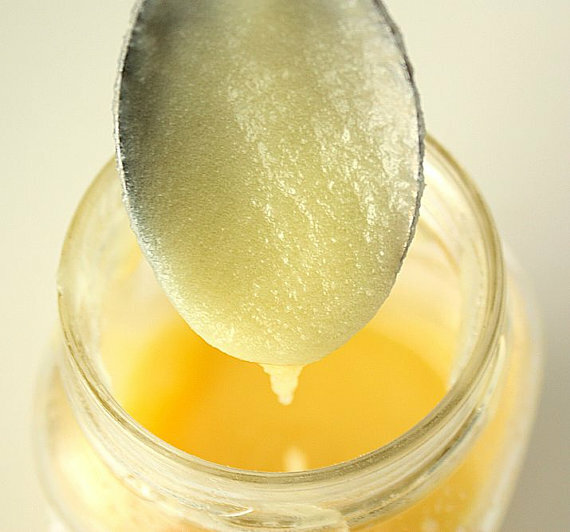 We love cooking with ghee, it’s a flavor you can’t find anywhere else. What a sweet idea! 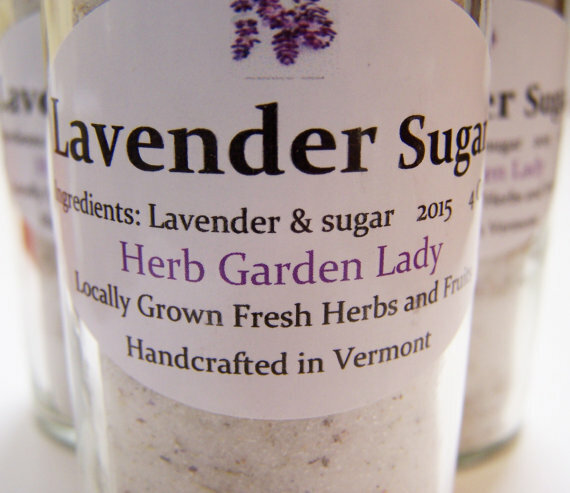 Lavender Sugar has so many uses but one of our favorite ideas is to rim your cocktail glasses with it! 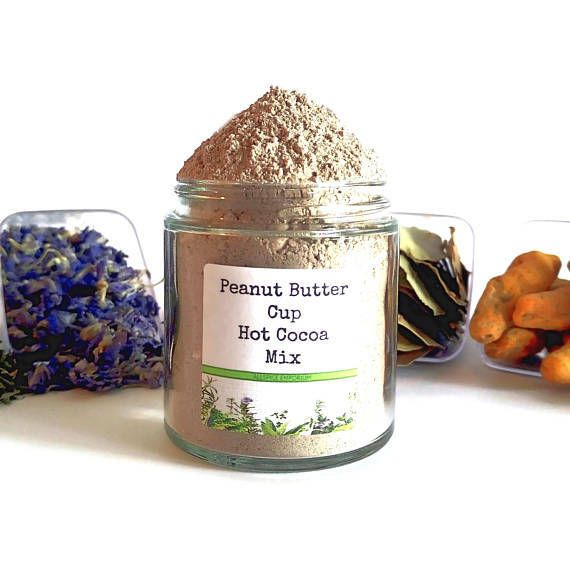 It’s also great for baking, desserts (like sprinkling on cookies), and using in tea. Whoa! Great gift idea for the whisky drinking, wanna be gourmet chefs in your life. They say to use as you would any other maple syrup and especially for brinner! 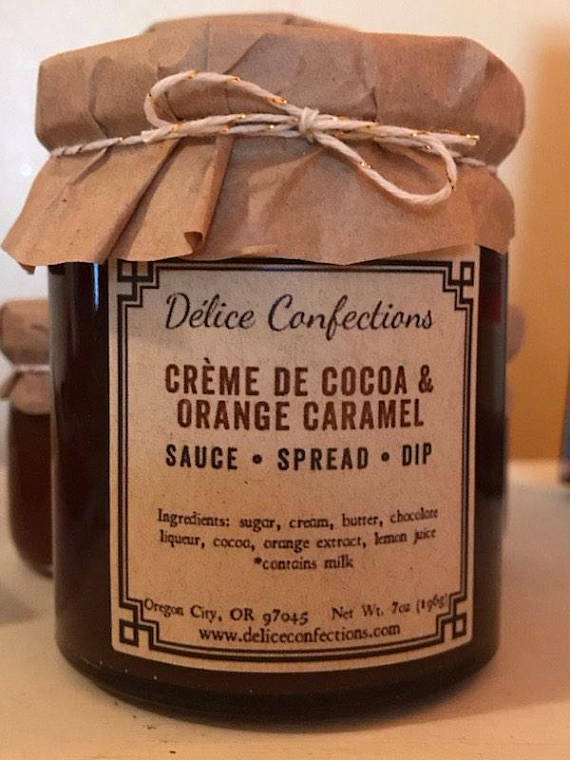 This is such a unique simple syrup and would be so fun to create a cocktail with. Can you imagine, it’s New Year’s Eve and you’re sipping on a rose petal infused champagne cocktail? Yes, please! Chocolate and peanut butter cup hot chocolate? You are going to be hard pressed to find someone who isn’t super excited about receiving this gift. It’s perfect to help them get through the rest of those chilly winter nights! 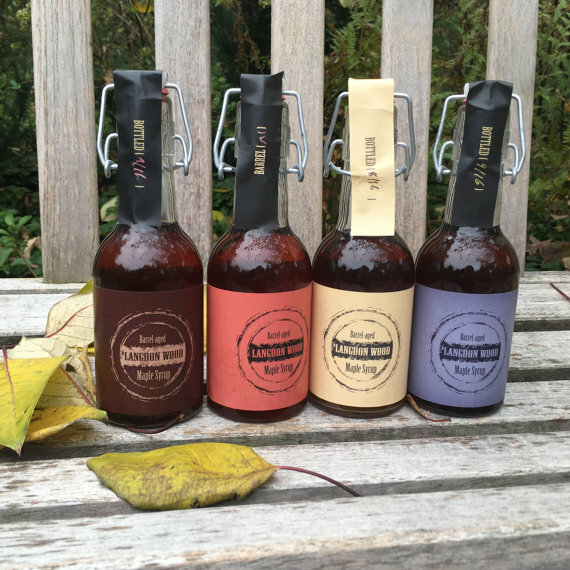 Of course we would include something fermented! Traditionally, fire ciders have been known to support the immune system. 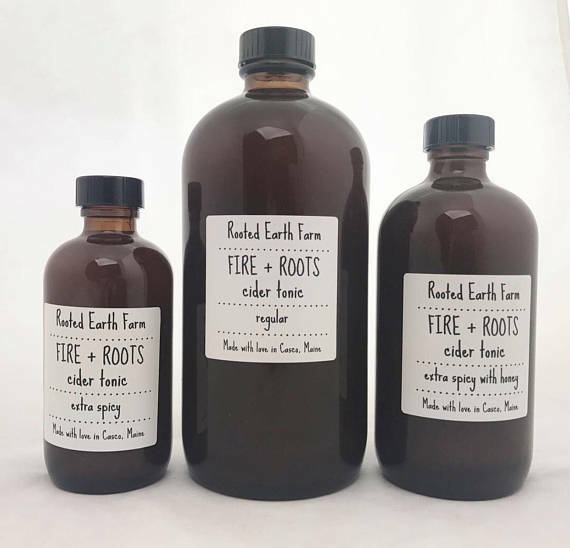 These tonics are all organic and I recommend requesting the honey be added, as it’s a great way to ease into drinking this spicy concoction.